Radiesse is injected directly under the skin to fill out lines and deep wrinkles. It can also be used as a filler to add volume to the cheeks. One of the key benefits of Radiesse is you will see instant results, and in most cases, will be ‘overfilled’ for a few days as the filler and fluid injected into the skin start to settle. Once the swelling resolves, you can expect to see a noticeable difference in your appearance and your skin will continue producing collagen. Unlike some fillers that look very artificial, Radiesse is injected deep enough into the skin to create very natural-looking results. The compounds in Radiesse are compatible with the human body so there is little to no risk of an allergic reaction. Radiesse can be very effective for smoothing out wrinkles, filling out lines, and adding volume to the cheeks. If you’re not happy with the effects of aging taking their toll on your appearance, talk to us about Radiesse and other dermal fillers. We can review your options and determine whether you are a good candidate for Radiesse during your consultation. Call 214-827-2814 today! Dr. Jejurikar will be happy to consult with you personally to address any of your questions or concerns regarding any of our treatments and services. 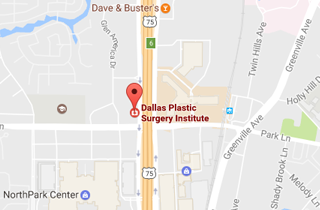 To schedule an appointment with Dr. Jejurikar or for more information about our services, please contact our office directly at 214.827.2814.